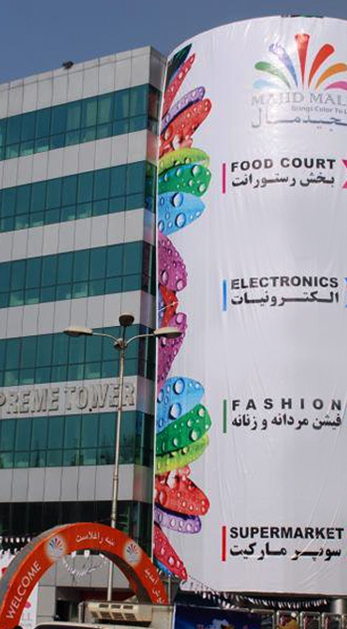 Majid Mall is poised to create high and sustained foot falls to ensure revenue growth for its retailers. Majid Mall offers a unique amalgamation of recreation, premium outlets, latest trends in fashion, hypermarket, electronics, fine dining restaurants, food street and much more to make a mall outing pleasurable and fun. It’s 24*7 safe and secure environment is always an advantage for its retailers as well as customers. Strategically Located – Majid mall is located at Sher e Naw giving its retailers and customers easy access from various sector of the city. It attracts a large footfall for the retailers and drive a steady flow of shoppers through the mall. Perfect Combinations-Right combination of retail, recreation and leisure which makes the mall different from others with state of the art facilities. A novel concept for sure!! Entertainment redefined – There is always something for every age group. Large open spaces are provided for recreational and leisure activities where every day is a celebration. Book Your space today – A world of leasing opportunities awaits you!! Contact us to host your store at Majid Mall!! Join the Majid Mall Retail Family! !